Today enterprises must collaborate more than ever before, given that they have increased their presence across many geographies, teams are cross functional, and employees increasingly work remotely. If they really understand and adopt collaboration, businesses are likely to see cultural shifts shaping the way they function. According to Richard Branson, “To be successful in business, and in life, you need to connect and collaborate.” Unfortunately, most enterprises lack collaboration; while others don’t even understand workplace collaboration and its business value. Workplace collaboration is when multiple individuals or teams come together to solve a common problem. Collaboration is important because individuals with different skills, perspectives, and thoughts can brainstorm to find innovative solutions and implement their combined ideas. This is important when you consider increasing market competition, which requires a creative, productive workforce. Collaborating also boosts employee morale, especially for teams working virtually. Conversely, a lack of workplace collaboration can indicate that an enterprise isn’t maximizing its potential. Digital tools are being employed in the modern workplace to encourage and facilitate collaboration. Today’s workplace has a blended workforce, is becoming more responsive to problems and is less tied down to physical locations. Organizations no longer want to be siloed and fragmented, or have employees in different departments or geographies not communicate and collaborate with one another. They are working hard to break down barriers between teams and this requires adopting new technologies. Trello, Sharepoint, Basecamp, Slack, CodingTeam, WebEx, GoToMeeting and even good old trusted Google Docs are some of the best collaboration tools available to manage everything from complex projects, collaborative coding, video and audio meetings, to sharing files and tracking projects. All these tools easily integrate with existing apps and software, and work well no matter where employees are located. This increased collaboration has brought a high level of flexibility in communication that allows co-workers to connect with each other easily. As employees can now connect and communicate no matter where they are, there is more teamwork, mutual understanding, and bonding. Collective Thinking– Teams can work towards a common goal by sharing various perspectives to provide solutions. Encourages Knowledge-Sharing – Cross-functional collaboration allows team members to access a broader network of knowledge. Supports Project Success – Collaborative project plans and structures are essential right from communication to tracking progress and budget. Fosters Creativity and Innovation – Collaboration creates an environment that breeds ideas and innovations. Retains Talent – Collaboration fosters a sense of camaraderie and belonging and makes employees feel respected, included, and recognized. There are better chances of employees collaborating if they can do so organically instead of as an additional task. Collaboration should blend seamlessly with their flow of work. Instead of forcing meetings that interrupt, make it easier for employees to collaborate as they go about their daily work. Technology can help increase employee collaboration. But don’t rush into buying lots of tools and apps without a clear idea of what you want to achieve. Focus on evaluating collaboration platforms and why you need them, before delving into how to implement them. Cubicles and closed working spaces impede collaboration. Employees should be allowed to sit in open, accessible layouts and work as a team. Open workspaces allow unscheduled interactions that can surprisingly result in new ideas and better productivity. But there should be some private huddle rooms for focused brainstorming session without interruptions. Managers must encourage collaboration and define incentives for effective teamwork. At the same time, as you encourage collaboration, don’t micromanage the way employees work together or the opposite might just happen. Supporting such a collaborative environment in the office should be high on every enterprise’s priority list. If every person on every team is equally committed to success, collaboration is easy to foster and build as a culture. Collaborative teams enhance their capacity to go beyond their comfort zones and take businesses outcomes to new heights. Investing in collaboration, even when the benefits aren’t obvious or immediate, can make a huge difference in the long run. 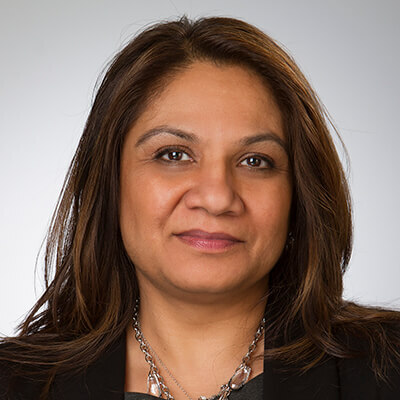 Roopal Joshi is a Senior Human Resources Executive and Business Partner with a career spanning over 2 decades in human resources and employee relations. Roopal’s mandate is to lead and enable LTI Canada’s Human Capital success covering a full spectrum of HR strategies, programs, and services. She illustrates strong strategic management skills, a solid background in human resources and a career focused on delivering high levels of employee and customer service. Often characterized by her big picture perspective, she is a collaborative leader who can influence and manage multiple stakeholders, build effective cross-functional business relationships and foster teamwork. Seen as a trusted Senior HR Business Leader, Roopal pursues viable HR solutions to effectively find the win-win in all situations; thereby, making her the perfect fit for global matrix organizations undergoing significant surges in change and growth.